Cell Phone Signal Booster provides solutions to combat low mobile reception indoors and in vehicles. Our business' aim is to raise awareness of existence of our cell phone signal boosters that work across all mobile devices on all service providers. 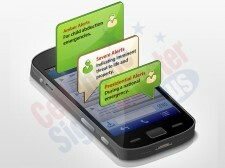 Houston, USA, May 8, 2016	(Newswire.com) - CellPhoneSignalBooster.us, a supplier of cell phone signal boosters, encourages all cell phone users to ensure that their cell phone is capable of receiving, and set to receive, all Wireless Emergency Alerts (WEA) to ensure their safety and the safety of those around them. A Wireless Emergency Alert (WEA) is a short emergency notification regarding a critical event that is delivered to mobile devices in a targeted geography. WEAs are a complimentary public safety service provided by authorized government senders through the Emergency Alert System, EAS. These emergency messages are sent through mobile carriers to keep the public informed of any imminent threat to their safety or to notify the public of any missing person alerts in the area. Timely WEAs keep people safe during an emergency and notify the public of emergency and other critical situations occurring in their area. Examples of WEAs include Presidential alerts in the case of national emergency, AMBER alerts for a missing person, imminent danger alerts, and a variety of severe weather warnings from the National Weather Service including tsunami, tornado, flash flood, hurricane, dust storm, and extreme wind warnings. EAS (Emergency Alert System) is a broadcasting function, whereas WEA (Wireless Emergency Alerts) is a cell phone equipment function. In order to receive WEAs, a person must first have a WEA-enabled mobile device, and second, be located in the area targeted for the broadcast alert. Some alerts are national, some state-wide and other highly local. The following link that can be bookmarked or its link saved, provides a list of wireless emergency alert capable cell phones, including instructions for setting the device to receive, or not receive, Wireless Emergency Alerts. Most major manufacturers offer WEA capable smart phones including Apple, Blackberry, Casio, Google, HTC, Kyocera, LG, Microsoft, Motorola, Nokia, Pantech, and Samsung. Not only must the mobile device or cell phone be WEA capable, it must also have the appropriate reception capability to receive the alert. Since timing can be crucial in the case of an emergency, cell phone users that have reception issues or experience areas of weak signals should take immediate action to ensure they consistently receive a strong signal and are always able to receive a WEA. For weak signal reception, a cell phone signal booster can be used to ensure consistent reception in any home, office, or vehicle. All work with all cell phones and carriers including Verizon, AT&T, Sprint and T-Mobile. All provide consistent, clear voice reception whether designed for vehicles or indoor use. Those marked “4G” enable fastest 4G LTE data reception in addition to fast 3G data speeds. Commercial grade signal boosters boost reception indoors for up to 50,000 square feet. Some amplifier kits are so easy to install, they take mere seconds or minutes to set-up. For home or office use, the company offers a range of cost effective signal boosters that cover a few rooms in a small apartment as well as commercial grade booster kits to boost reception for government buildings and corporations in multi-floor facilities or high rises. With gains of 45 to 70 dB, all home and building signal boosters ensure a consistent signal throughout their coverage area. Perfect for talking, texting or web surfing on the go, the company offers a selection of single and multiuser amplifiers to ensure a reliable signal even when driving through rural areas. A strong cell signal is critical for truck drivers, emergency service personnel, salesmen, commuters, or anyone who might get stranded while out on the road. CellPhoneSignalBooster.us carries machine to machine (M2M) signal amplifier kits that ensure uninterrupted communication and data sharing between wireless networked devices. Whether in a warehouse for asset tracking or supporting a network of ATMs or vending machines, M2M networks rely on constant communication among its devices for the system to operate properly. The company also offers a complete line of accessories and parts to meet the networking needs of its customers. From coaxial cables to connectors, power supplies, antennas, bandpass channel filters, and chargers, any replacement part or networking component is available at competitive prices. To learn more about CellPhoneSignalBooster.us and its offering of top quality cell phone booster products and accessories, please visit the company’s website. CellPhoneSignalBooster.us offers a full range of signal boosters for use at home, in the office, inside vehicles, or for machine-to-machine applications. The company offers a wide range of signal boosters, cell phone reception accessories and parts, antennas and much more. The company is committed to delivering the highest quality cell phone reception products with exceptional customer satisfaction. Sign up for email updates from Cell Phone Signal Booster.